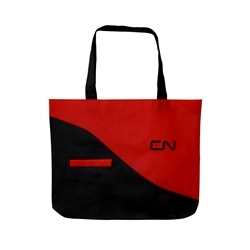 Eco convention bag: Non-woven polypropylene tote with handy slash pocket on front for quick access. Hang tag attached listing environmental properties. 18.5" x 14" x 2.5".